The best way to get to know a community is by scheduling a tour. See the facilities, meet the staff and residents, and get a feel first hand what it's like to live at Dover Place Assisted Living. Families can depend upon the staff at Heritage at Dover to provide the care and support that is needed so their loved one may continue to live a fulfilling, active lifestyle. With our location near downtown Dover, our residents have opportunities through group outings to visit places in the local community, such as the Dover Downs Resort and Casino, nearby shops or even the Dover Par 3 for a round of golf. Heritage at Dover is a part of Genesis HealthCare, LLC, one of America's largest providers of specialized health care services. 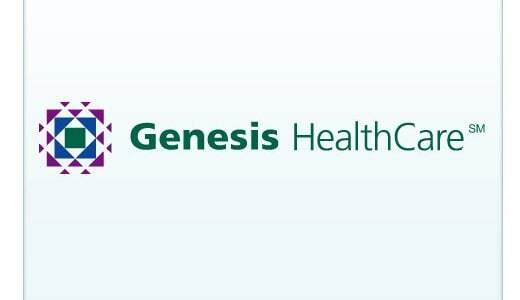 At Genesis, our highly skilled practitioners work hard to improve the lives of everyone we touch by delivering outstanding clinical care in a warm and comfortable setting. Each day, the activity calendar is filled with social, educational or recreational activities that have our residents laughing with friends. But when a moment of relaxation is wanted, we have several beautiful gardens and courtyards where our residents may sit outside to enjoy watching the birds or read a book. There is also an on-site beauty salon where residents can freshen up when family visit. Our residents don't have to worry about cooking, since we serve three delicious meals each day in the community dining room, but they can fix a light meal for themselves since all the apartments have the convenience of a kitchenette. Your loved one may choose to live privately or live with a friend, and there are a variety of studio floor plans that only need a few personal furnishings to make the place feel like home. We arrange for all the health care services our residents need so they may continue to achieve the highest level of heath possible. Speech, physical and occupational therapies are provided as needed, and the always popular pet therapy is appreciated by our residents. Residents receive personal care that is delivered by compassionate staff in a respectful manner. We also have a Homestead Alzheimer's/Dementia Care Unit that is specially designed to care for seniors with memory issues. Not only do we provide for our residents' health care needs, but the daily responsibilities of life are also handled by our staff. We chauffeur our residents to their appointments and errands so they can just sit back and relax. Housekeeping is performed by our staff, and we also offer mail and newspaper service. For families seeking a friendly community that offers assisted living and memory care in a family-like community, Heritage at Dover is the ideal choice for their loved one.